Radio Girl, the story of fourteen-year-old Cece, who lives in Newark in 1938 and wants nothing more than to be a radio star, preferably alongside her crush, Orson Welles. 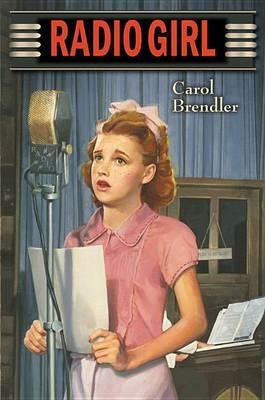 Steeped in the glitzy world of broadcast radio, this is a story that captures late ’30s-era New Jersey and New York to a T. The novel culminates with Orson Welles’s infamous “War of the Worlds” broadcast, which sparked a rush of panic across New Jersey—an event which was also experienced firsthand by Carol’s father-in-law, making this particular book extra special. Published by Holiday House in 2013 (the 75th anniversary of the Welles broadcast! ).